You can’t keep filling up and feeding others if you’re undernourished and starving yourself. 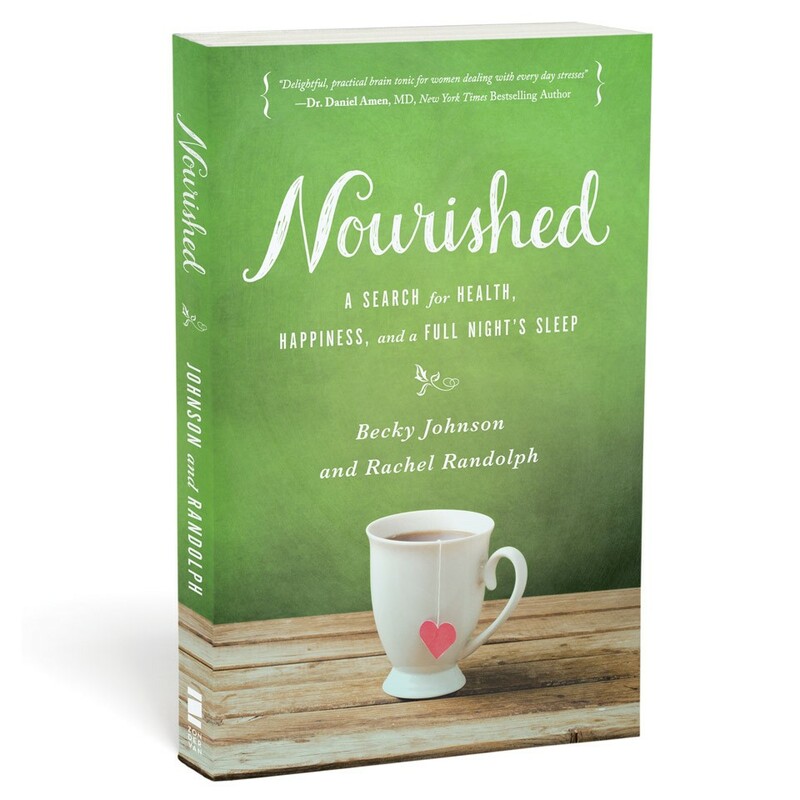 That’s what mother-daughter writing team, Becky Johnson and Rachel Randolph, say in their new book: Nourished. They’ve packed their book with humor, honesty, a chatty writing style, and practical tips everywhere. A lot of their advice was basic; however, it’s nice to have a collection of tips all in one place. I loved some of the word-pictures and metaphors they use to bring their points home. My favorite is the idea that all of us have a favorite pillow style. I like mine soft. You might like yours super-stuffed. The same is true about our schedules—the activity level that is comfortable for me might not be comfortable for you. That’s why our lives need to be unique and God-directed, not copycats of what works for someone else. They cover everything from how to dress your body type, to how to organize your schedule, to how to enjoy family meal time, and how to get your home in order. I would have loved to see a little more of an emphasis on nourishing faith and a relationship with God, perhaps, but ultimately the book is an all-around healthy heart, mind and body makeover. Usually, I’m the kind of reader who loves to hear the personal stories and perspectives of the author. Not so much in this book. I think part of that was because I loved Becky Johnson’s tips and input, but Rachel came across as nice and enthusiastic and ‘young.’ I’m a mom with four kids living in a house half the size of Rachel’s, so her perspective felt a little simplistic. She seemed to send a lot of time trying to justify why she doesn’t have a lot of time…..when I think she might have been better off ‘fessing up’ to the fact that the majority of women reading the book probably have more kids than she does. I remember having one toddler, a ministry, a work-at-home job without any childcare, and a busy husband and thinking my life was crazy then. Now, I really wish I had that much free time again! I’d appreciate it if at least once in the book she said, “I know I only have one child, but this is what works for me right now, and this is what my friends with four kids and a job say works for them…..” I get how hard that is to confess. I’ve had to say it myself—-“my life is crazy and it feels like no one else’s could be any crazier, but I know I don’t understand what it’s like to have 9 kids, or home school, or parent a special needs child, or have a husband in the military or be a single mom.” When your own experience is limited, maybe getting some ideas from others with more experience would have been a plus and, at the very least, admitting that you don’t know what it’s like to juggle as much as someone else goes a long way to set a tone of humility. Perhaps that’s why I loved that Becky Johnson chimed in with talk about raising four kids in a log cabin. This isn’t a Bible study and it’s really not meant to be. They talk about faith in a cursory kind of way, with a lovely emphasis on how God sees us as His beloved daughters. My personal preference would probably have been for less references to their friends’ or fellow bloggers’ books and more dependence on Scripture, but the book seemed to be more of a ‘blogging community’ kind of end-product, which many women will enjoy. I loved that they included a chapter at the end of the book on how to be nourished when life is hard. For some women whose lives are taking them through trauma and pain, things like organizing your junk drawers or buying a new outfit aren’t going to help much. The authors were wise to meet that head-on and share with love, grace and encouragement on how to pursue hope.